Lixin has been learning Highland Dancing since she was nine years old. She is now 18 and loves competing and being in involved in the Ardlair community. 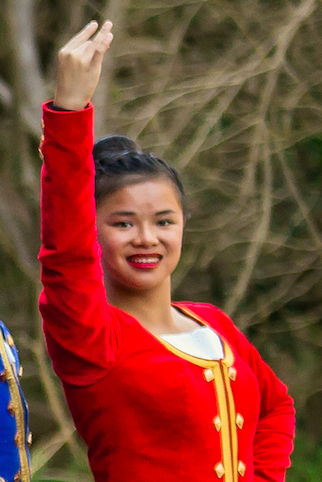 Although Lixin didn’t start Highland Dancing at a young age she has done a lot in her time. Lixin competes at the Premier level and has completed her Assistant Teacher qualification with VSDA, and she has had the opportunity to perform overseas with Ozscot Australia. Lixin is currently studying at TAFE for my Certificate 3 Early Childhood Education and Care. Lixin greatly enjoys teaching and supporting the Wee Ones, junior and intermediate students. She loves to see the improvement that each student brings to the class each week, and the friendship and the sense of community that all dancers have with Ardlair. Built by bebadassonline.com © Copyright 2018-2019 Lisa Barker. All rights reserved.